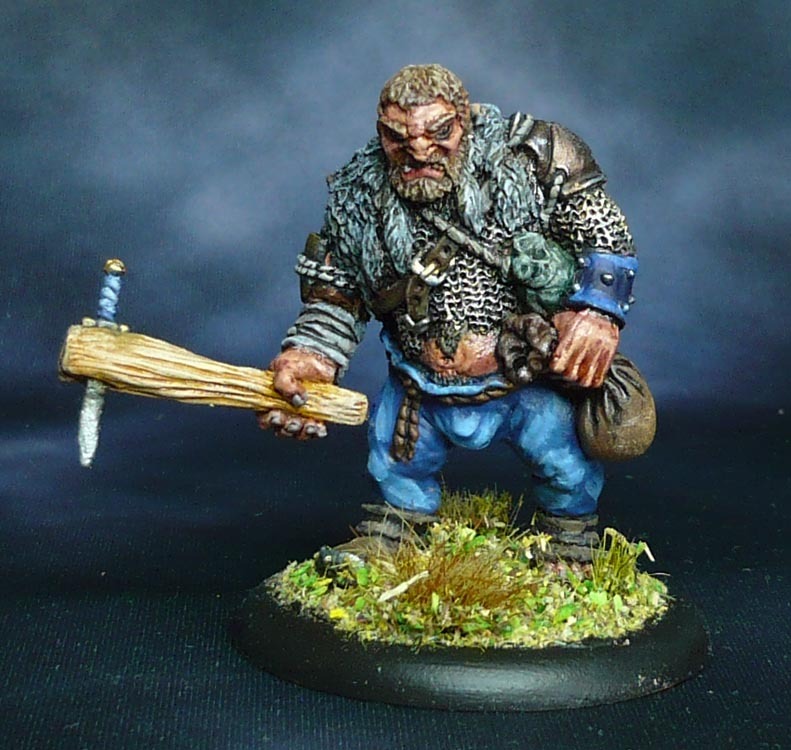 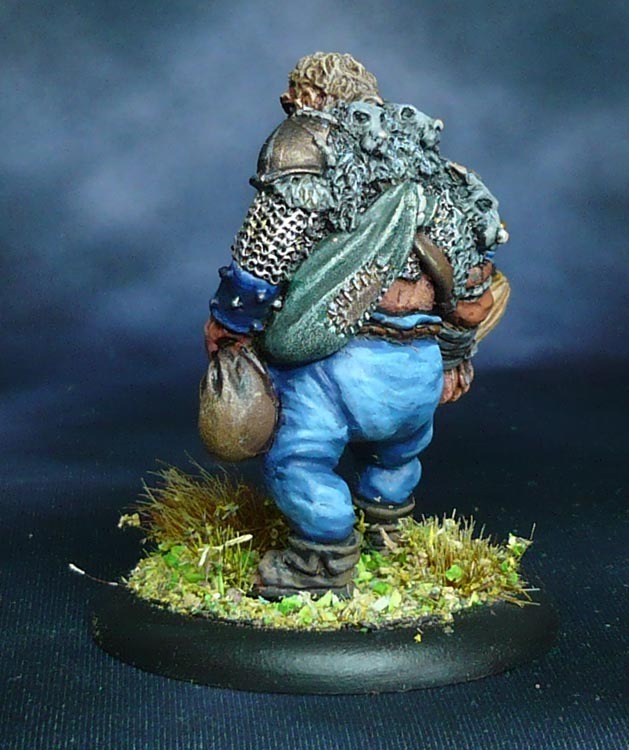 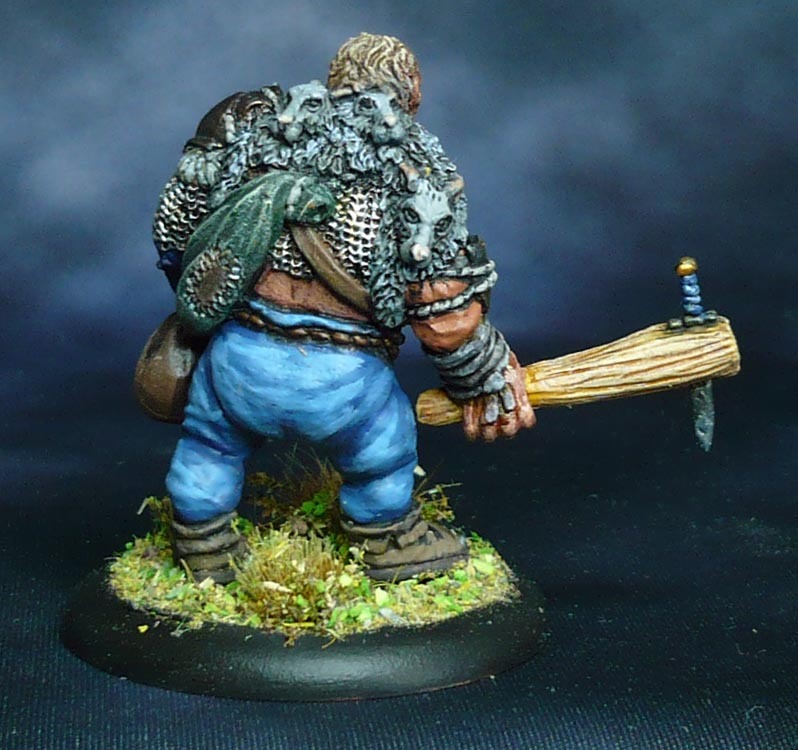 Back in 2013, Oathsworn had a kickstarter for a range of oldhammery heroes, with dwarves, halflings, and a few monsters like the efreet and shambling mound that I have painted earlier. 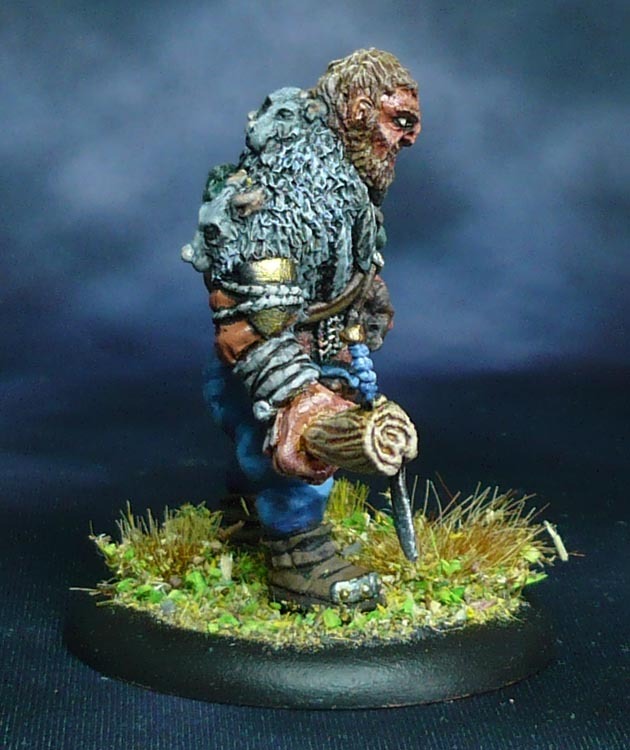 This is Tardog Wolfskinner, Ogre vagabond from that set. 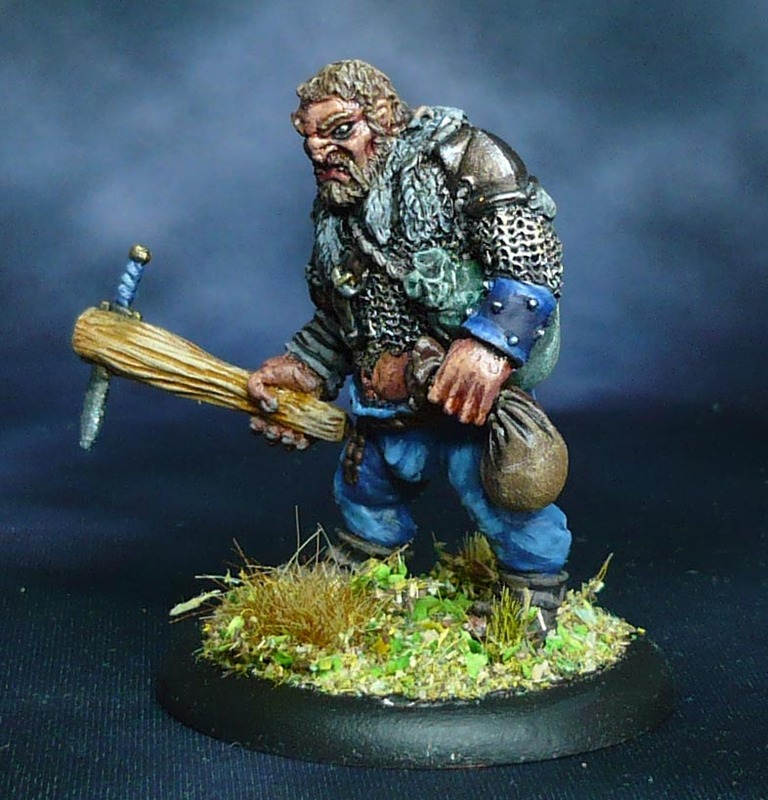 Full of that oldhammer character and charm.